Bath Strings Academy was established in 2016 by Michelle Falcon and Ruth O'Shea, who met working as chamber musicians and soon found a shared passion for education. Their collective experiences as musicians and teachers have led them to devise innovative teaching methods which aim to develop the whole musician and kindle a true love of music. ​Michelle has over twenty years of string teaching experience having started her private practice in 1995. 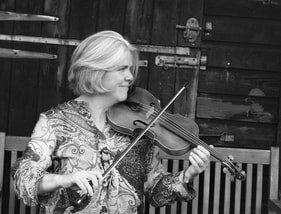 Born in Hampshire Michelle started playing the violin at the age of seven, won a county music award for private tuition and joined the Southampton Youth Orchestra, touring extensively abroad. These teenage musical opportunities cemented a life-long love of music-making, particularly in ensembles. University studies brought Michelle to Bath Spa where she gained a First Class Degree in English. Further studies in music (Certificate of Teaching (ABRSM) 1998 & Advanced Performance Certificate on violin 1999) led her to take up a post with Bath & North East Somerset Music Service. At this relatively late age, Michelle then discovered the joys of playing chamber music, setting up the Bath Spa String Quartet in 1998, fixing musicians and playing professionally for concerts, weddings and events. In 2006 Michelle decided to further hone her own playing skills, studying violin with Lucy Gould and completing a Postgraduate Diploma at the Royal Welsh College of Music & Drama in 2009. At this time she also took up serious study of the viola with Martin Humbey (Academy of St Martin in the Fields), completing a Licentiate Diploma (LTCL) in 2010 and has since converted it to her main instrument. As a viola soloist, Michelle has performed several solo recitals and concerti with orchestras across the UK. Professional work has involved tours across Europe and China with Hampshire Sinfonietta and the London Arte Chamber Orchestra. As part of continuing professional development Michelle regularly attends chamber music courses to be coached by world class players including the Endellion, Martinu and Belcea String Quartets. To be inspired is to be inspiring. Michelle's collective experiences in life and as a musician, learner and performer inspire her teaching of people, young and old alike. An accumulation of knowledge, including an interest in neuroscience, Neuro-Linguistic Programming and psychology has led Michelle to approach her current instrumental teaching practice in a much more holistic way, taking in the broader aspects of music education, developing those mind, body and music skills to their optimum. A desire to give back those wonderful musical learning experiences drive her ideas to provide opportunities for new musicians to develop their playing skills in ensembles. Michelle holds a DBS check, Child Safeguarding Certificate (NSPCC), and O.A Dip in Counselling Adolescents and Children (Online Academies). She is member of several professional bodies including the ISM, MU and Morgensterns. Michelle is also a Regional Officer for the European String Teachers' Association UK. "Michelle's playing is distinctive for her great sense of beautiful tone as well as for technical perfection. From the very beginning I understood that Michelle was a musician I would be happy to play with. She had all the prerequisites for being an excellent chamber musician. She is not only highly experienced, devoted and susceptible as a chamber music player herself but her bright observations, comments and ideas have always been most helpful in the creative process of chamber music making. Having experienced playing each part herself (except for cello) of the string quartet (the essential chamber music unit), enables her to understand the problems of chamber music making like not many players do. I appreciate her ability to hearken to musical colleagues which is essential for any good chamber musician." 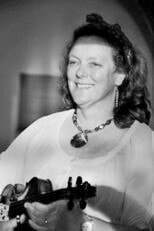 Ruth O'Shea is an experienced performer and teacher who has seen the process of learning an instrument from all sides: as pupil, teacher and parent. She studied the violin with Eta Cohen, Benedict Holland, Peter Maslin and Dennis Simons. As a young musician, Ruth benefited from the thriving youth music scene in Leeds. There, she was fortunate to be part of a small group of string players selected to take part in regular chamber music coaching with violinist Paul Mountain and cellist Carol Yeadon. Their encouraging tuition, which gave her the opportunity to play some of the great works of the chamber repertoire as a young teenager, was the foundation of her love of chamber music, and the inspiration to share it with the next generation. ​Whilst studying languages at the University of Cambridge, Ruth continued to enjoy a rich musical life as a violinist, as well as being a Choral Scholar. The regular discipline of singing in a chamber choir has influenced her violin playing and teaching greatly, and she is a firm believer that singing is the foundation of all music making. A passionate believer in continued professional development, Ruth took a year out to study full-time in 2014 and gained a Licenciate Degree in Violin Performance. Following this, she spent a year in San Francisco, and was lucky enough to study the teaching methods of renowned Suzuki teachers, Donna Lim and Cathryn Lee. She regularly attends conferences, workshops and training events, including as a National Youth Orchestra Inspire Programme CPD tutor. Ruth enjoys a varied freelance career, performing as a soloist and chamber musician, recording, running workshops and tutoring Bath and North East Somerset youth ensembles. She also runs a thriving private teaching practice. Ruth holds a DBS Enhanced Disclosure, Child Safeguarding Certificate (NSPCC), and is a Registered Private Teacher with the Incorporated Society of Musicians. 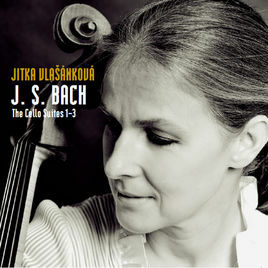 She is also a Regional Officer for the European String Teachers' Association UK. ​​We are lucky to be joined for specific events by guest tutors, all of whom are experienced teachers and performers and hold a DBS Disclosure. ​James Dickenson studied both in the UK and the USA and lists Lydia Mordkovitch, Danny Phillips, Jerry Horner, Wen Zhou Li, and Christopher Rowland as some of his many teachers and mentors. After graduating from the Royal Northern College of Music, James left the UK to lead the Degas Quartet in the USA. With this quartet James gave concerts all over the USA, in Carnegie Hall and at the Aspen Music Festival, and held various residencies in over ten universities. Since leaving the quartet in 2007, James returned to the UK to continue his teaching, performing, and chamber music career. 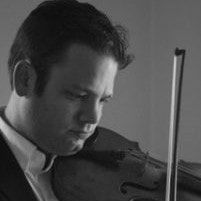 ​An advocate of new music, James has worked closely with many American composers, including Jeffrey Mumford, Andrew Waggoner, and he is currently commissioning a new piece for violin from Shafer Mahoney. James has just completed a research and recording project of Louis Spohr Duos (due for release on Naxos). He is a regular contributor to articles published by the European String Teachers Association. ​James plays a violin made by Sergio Perreson in 1976. ​Nick Stringfellow began his musical education at Chetham’s School of Music, performing in inspirational masterclasses from an early age with the likes of Heinrich Schiff and Janos Starker. After further study at the Royal Northern College of Music with Clive Greensmith, he completed his training at the Royal College of Music, studying jointly with Anna Shuttleworth and Anthony Pleeth. Nick cut his chamber music teeth as cellist with the London Mozart Ensemble alongside violinist David le Page. Subsequently he was invited to become principal cellist with the Orchestra of the Swan. Nick also appears as soloist with the orchestra and takes part in its extensive education and outreach programmes. As a chamber musician, Nick has enjoyed an exciting career, playing across a wide variety of styles and genres. He has performed with many ensembles including the Fitzwilliam String Quartet and the Brook Street Band and recorded for EMI, Naxos, Somm and Orfeo. He is the featured cellist on Schott’s “Baroque around the World” series and his trio “Spirituoso” is currently resident ensemble at Handel House. Nick is also passionate about the string arrangements of the great Jazz and Soul era and has led cello sections for Smokey Robinson and George Benson. ​Brought up in Aberdeen, Rachel currently lives in Oxford where she pursues a varied performing career. She graduated from Christ Church, Oxford with a First Class Degree in Music in 2011, and then went on to postgraduate study at the Royal Welsh College of Music and Drama with Alice Neary of the Gould Piano Trio. Rachel is interested in a wide range of musical styles from contemporary classical to Klezmer and also plays Baroque Cello. She is actively involved in music and education and was a founding member of Street Orchestra London. She is the founder and Artistic Director of Scordatura Women's Music Collective, a chamber ensemble which performs and promotes music written by women. Seona is a performer, teacher and composer working in Somerset UK. She performs regularly with the Primavera String Quartet, Bristol klezmer band Fromage en Feu and freelances for a number of local orchestras and small ensembles. 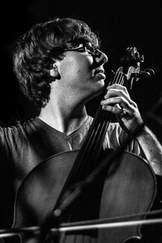 Originally from Hampshire, Sam is a Bath based multi-instrumentalist with his primary specialism being the cello. He studied in Cardiff with section leaders from the BBC National Orchestra of Wales and Welsh National Opera. During his time at university, Sam was a dedicated member of many ensembles spanning from early to contemporary music. In his final year, Sam was invited to perform as the soloist in Elgar's Cello Concerto, his performance was described as ‘vibrant, energetic and filled with passion’. ​Since graduating, Sam has been enjoying a varied teaching and performing life, working with children and adults of all ages and abilities both privately and through local authority music services. He particularly enjoys tutoring conducting the youth string ensembles and taking the cello sectional rehearsals for the senior youth orchestra (SPO). He has also performed in various venues around the UK such as London's Barbican Centre, The Marlowe Theatre in Canterbury and the Lyric Theatre in Belfast. Outside of his musical life, Sam enjoys exploring new cities, visiting friends and family in the New Forest and on the North Coast of Ireland, dog walking and Sudoku! ​Charlotte spent many years teaching piano, violin and viola peripatetically before doing a Post Graduate Certificate in Education specialising in Early Years. She now teaches Reception and Year 1 full time at Bellefield School in Trowbridge. However, she is still very much involved in teaching music and runs the Trowbridge Superstrings group at Bellefield school. She is currently working towards completing the Certificate in Dalcroze Eurhythmy; an holistic approach to teaching music. As a result of her experience in Early Years development and Dalcroze she has developed a specialism in teaching music to young children that incorporates sound educational principles with a creative, fun and physical approach.